Human sources of carbon dioxide are much smaller than natural emissions but they have upset the balance of the carbon cycle that existed before the Industrial Revolution. 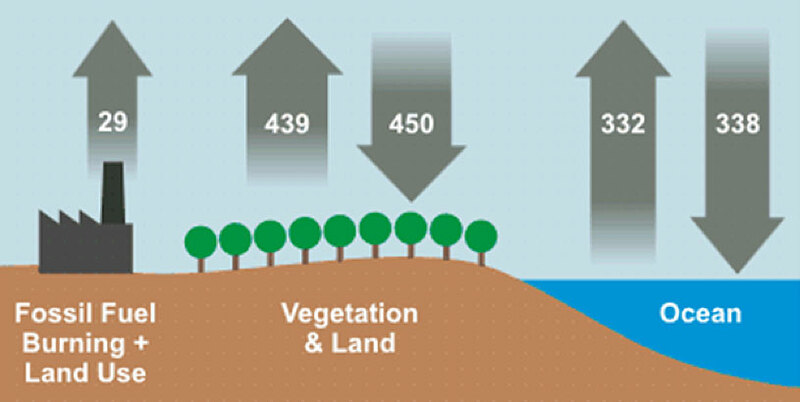 Up until now the amount of carbon dioxide produced by natural sources has been completely offset by natural carbon sinks. Before the influence of humans, carbon dioxide levels were quite steady because of this natural balance. Over the past 400,000 years, CO₂ concentrations have varied regularly from about 180 parts per million during the deep glaciation periods to 280 parts per million during the interglacial periods (measurements taken from ice cores). However following the start of the Industrial Revolution, atmospheric CO₂ concentration has increased to 400 parts per million and continues to increase. A natural change of 100ppm normally takes 5,000 to 20,000 years. The most recent increase of 100ppm has taken just 120 years. This increase is having a significant effect on our planet. The National Geographic noted that the concentration of carbon dioxide in the atmosphere is this high “for the first time in 55 years of measurement – and probably more than 3 million years of Earth’s history”. ‘The Royal Society’ has said that the 400 ppm milestone should “jolt governments into action”, so far there has been a lot of chat but not much action. Only now are we realizing that we have just 12 years to make significant change and if not the consequences could be dire. 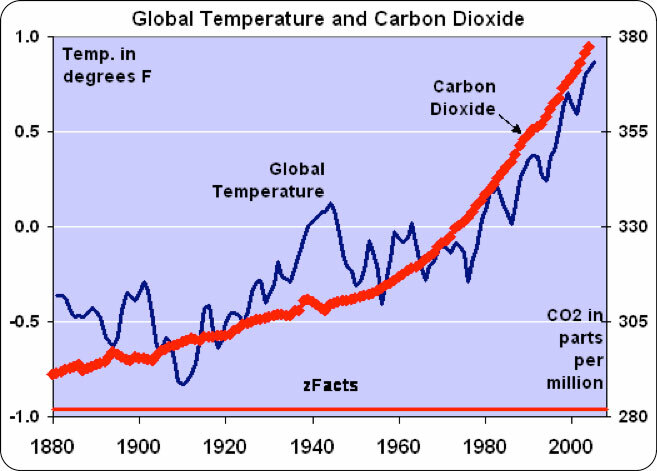 Diagram illustrating relationship between global temperature and CO₂ (image: zfacts.com).